The Samsung Galaxy S9 and S9+ are just the first top-shelf smartphone releases of 2018. Being the first of a new generation of super powerful flagships, we decided to put them to the test to find out if the performance is sufficient for everything one could throw at it, and if it justifies upgrading to a new smartphone. Are they really the most powerful on the market? Should you get the S8 or S9? Which tests did we perform? Benchmark tests don't always accurately represent the real, day-to-day performance of smartphones, and for that reason, we've also included some subjective impressions of what was like to use the smartphone in everyday life. In the US, the Galaxy S9 and S9+ are packing the Qualcomm Snapdragon 845, which will also be used in many of the upcoming high-end devices of 2018. The European version will have an SoC produced by Samsung, the Exynos 9810, which is made by a second generation 10nm FinFET production process. The SoC has an octacore CPU (4x Moongoose M3 at 2.7GHz and 4x Cortex-A55 at 1.8GHz) and a Mali-G72 MP18 GPU. The extra RAM of the S9+ doesn't improve overall performance. The performance of both SoCs should be comparable, as always. Having the different Snapdragon and Exynos SoCs has been going on for years. The smartphones we tested are both powered by Samsung. It goes without saying that these chips are the best on the market right now, and we expect excellent results and top user experience from the new Korean flagships. The Galaxy S9 differs from the larger S9+ only in terms of RAM: it has 4 GB while the S9+ has 6 GB. Both have LPDDR4X memory. Is the difference in RAM noticeable between the S9 and S9+? The short answer is absolutely not. We've explored the topic of whether so much RAM on a smartphone is necessary many times before. In 2018, 4 GB of RAM is the minimum requirement for a top-of-the-range smartphone, but it must be said that 4 GB is more than enough for a smooth and fast experience for any type of use. Obviously, having 6 GB sets the smartphone up to last longer because it could withstand more intense apps of the future. Back to the Galaxy S9+, objectively there's no difference in performance compared to the S9, and the extra RAM doesn't improve upon its already excellent performance. Just like the S9, the S9+ also suffers from small hiccups in daily use. These are just small drops in fluidity, practically imperceptible, but can be traced back to the poorly optimized software of the Korean brand. As you can see from the screenshots just above, when browsing the Home and Settings, the smartphone takes too much time to "think", causing delays in animations. The S9 and S9+ are the best smartphones we've ever tested in terms of raw computing power. For high end smartphones costing $720 to $840, this shouldn't be acceptable. It's not that the S9 lacks power, it's that Samsung's software seems not to be under control. By installing an alternate launcher, half of these sort of problems are solved. From the benchmark scores we've obtained, we can draw some interesting conclusions. Looking at the results of the tests carried out on Geekbench, we can see that neither the single core nor the multi-core computing power are lacking. This seals the deal: the S9 and S9+ are the best smartphones we've ever tested in terms of raw computing power, which isn't surprising since this is the first of a new generation of flagships to arrive in our office. What is surprising, though, is the low score from the 3D Mark tests. The results are only slightly better higher, and sometimes even lower, than some flagships with last year's top SoC. What happened? Does the chip lack graphics power? On paper, the new Galaxy S9 and S9+ should be much more powerful than phones packing the Snapdragon 835, even in terms of graphics thanks to the Adreno 630 GPU. We don't know whether this is a software optimization problem or a bug, but during these tests we noticed annoying glitches, especially with the Vulkan API benchmark. Passmark tells us how the RAM is used, and it's definitely faster on the S9 and S9+ than on other smartphones we've tried so far. 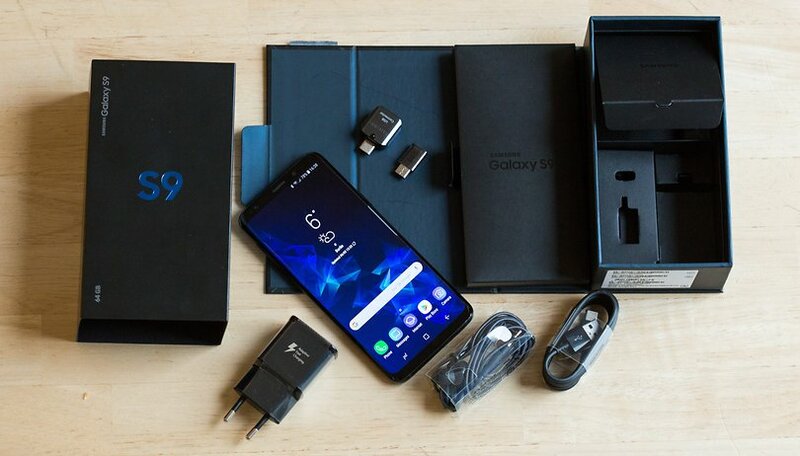 But, it also revealed that in terms of storage, the Galaxy S9 and S9+ didn't fare as well as some of its competitors, namely the HTC U11+ and the OnePlus 5T. What do you think about Samsung's latest and greatest? Would you prefer us to test the performance with apps and games instead of benchmarks? Share your thoughts with us in the comments below! I too use the s8+ it's been the best phone I've ever used. Still just as fast as the day I purchased it. No need to update at this point but I'm very interested in the upcoming note9. I was hoping the FPS would be within the display but doesn't look like that's gonna happen. I've never owned a note before so will see what happens!